Hi, I play wizard101 and pirate101 (as well as a few other mmos) I usually go by Jack but my pirate101 name is Jack Nightingale and my wizard name is Jack Skullbreeze. I play buccaneer on pirate101 and pyromancer on wizard101. My favorite pastimes are playing video games and reading. I'm currently in college and working to become a game designer to make the games I love better for me and everyone else. I want to work at either KI or Bioware. As for what I usually watch, I usually watch anime (the action kind). I started pirate101 on January 22 2013, and wizard101 awhile earlier. You can usually find me farming lore or farming armada ships for scrip. I am known in some communities in p101 such as the message boards and central (sparticus32) and my friends from there know me as the crazy golden chicken guy. 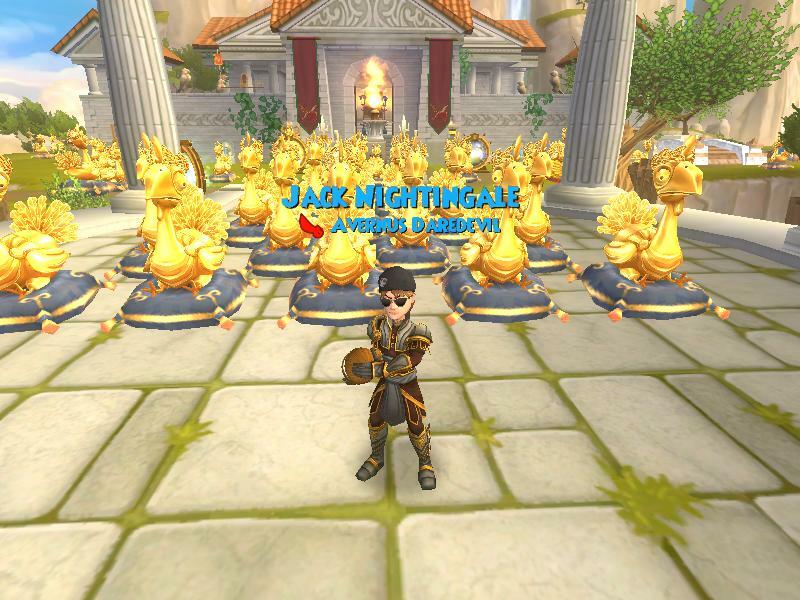 In p101 I collect golden chickens, currently over 300 and I love to decorate. I love this community and hope to be official soon!